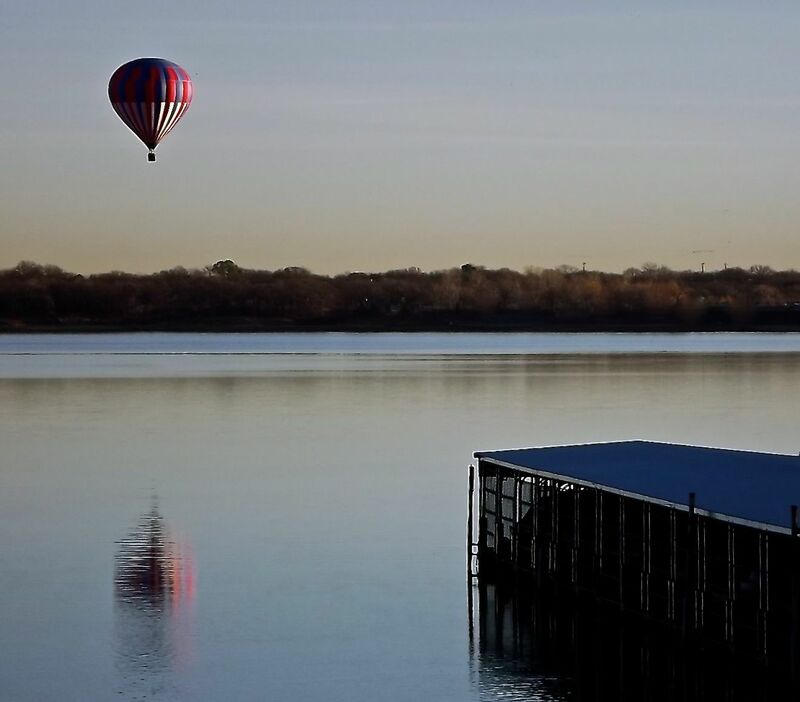 With the sunrise in your face and reflections off the water, this balloon ride drifts towards the northeast…. 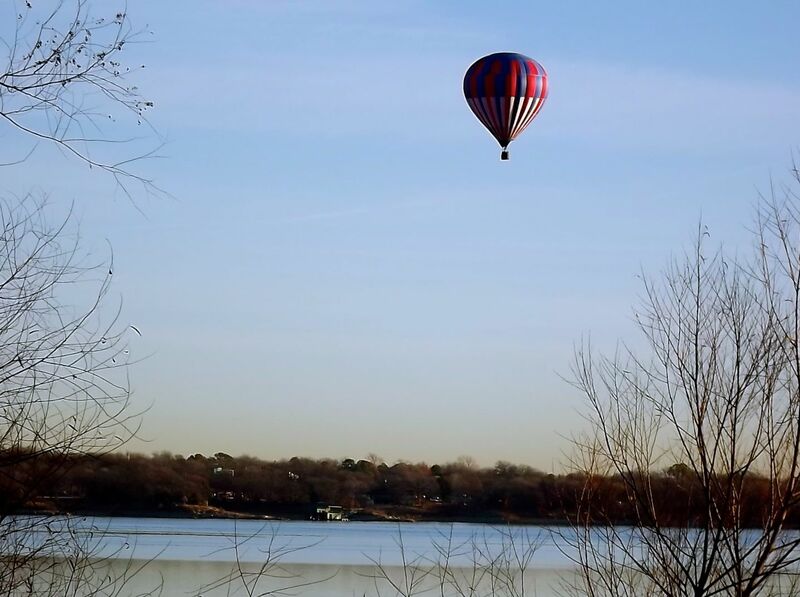 On one of the chilliest morning of the year, a hot air balloon defies the 28° temperatures…. 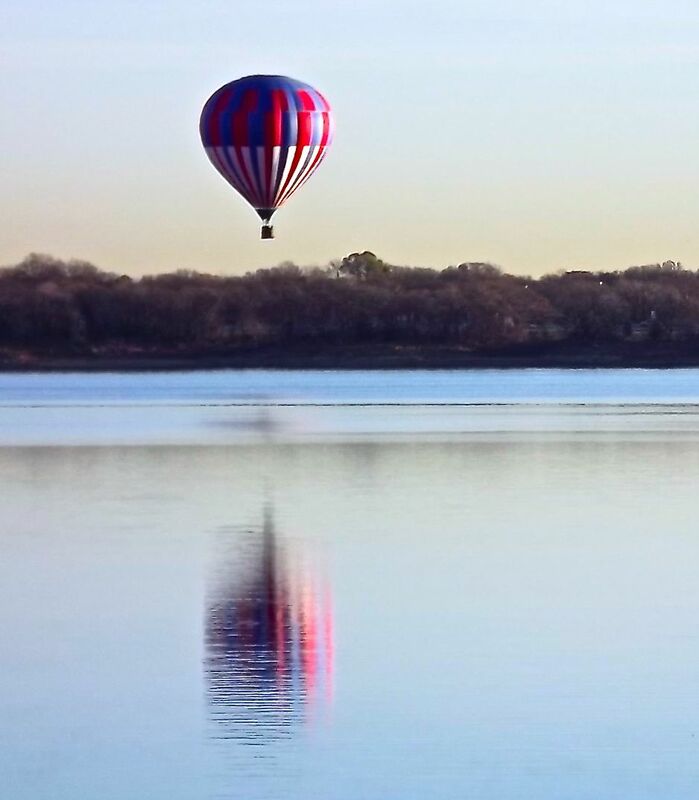 Great photo of the balloon reflecting in the water.